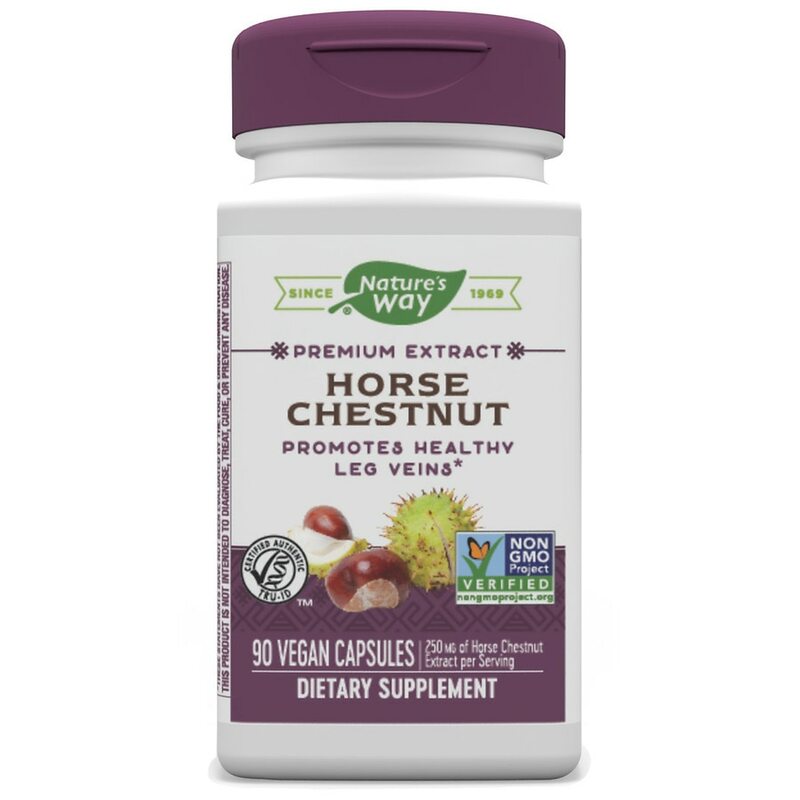 Horsechestnut Extract is standardized to 20% aescin, a saponin clinically shown to support healthy circulation, especially to the veins of the lower extremities*. Did you know? Nature's Way standardized Horsechestnut extract is a scientifically advanced herbal product with a guaranteed level of important compounds necessary for maximum effectiveness. Questions? Call 1-800-9Nature or visit naturesway.com. Our Horsechestnut extract is carefully tested and produced to certified quality standards. ©2003 R/1 Nature's Way Products, Inc.